4 Responses to Bees Galore! How jealous am I!! Last week upon inspection I discovered the 2nd of my two colonies had also died out during the winter months and what I thought were my bees were in fact thieving little tykes from my neighbour’s hives! I can only think both were unable to raise a queen after swarming in the summer months or continued to split into casts and quietly faded away. The hope is that once cleaned out and set up as a new hive a passing swarm will settle and I’ll take my chances with them. I did look to the heavens and tell our bee buddy how much we’re missing him! 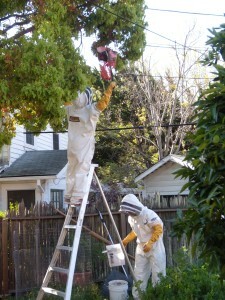 You’re both doing an amazing job with your bees and are obviously ready to expect the unexpected! So sorry to hear about your hive, Jackie! That is always so sad to discover :(. Have you had luck before with swarms settling in your empty equipment? We have yet to enjoy this occasion, though we often put out boxes and hope for the best. 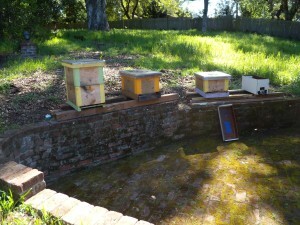 I s admire your tenacity keeping bees in a climate where their season is so short. Our bees have (so far) done better than ever with the current horrible drought–though Kelly is convinced they will soon run out of food, since everything that’s supposed to bloom in summer is blooming now for us. Ugh. Hoping for more rain soon. All the yes to you and your bees! Our only luck with swarms was when last year both my colonies split but luckily the swarms flew straight into my neighbour’s hives that were empty due to her losing both during the previous wet, wet winter months. One of hers is struggling but we’ve spotted the queen… not difficult because there are so few bees in the hive. Her 2nd colony is expanding rapidly so we’re thinking to leave them to make their own minds up about swarming and where they settle. At the allotment this morning we chatted to a gardener who lost his 2 colonies in the winter months and thankfully managed to persuade him not to be disillusioned and give up since we need to help honey bees as much as possible. He walked away feeling positive which in turn gave us a smile! It seems to me your drought is as big an issue to deal with as our short season but if your bees do struggle to find food later in the year you could always do what we have to most years, mix up a batch of sugar candy and place it under the roof on top of the crown board. If they don’t need they won’t touch it but if an emergency arises they will be forever grateful. Have you considered adding a frame of brood (and the associated nurse bees) from the strong hive into the weak one? 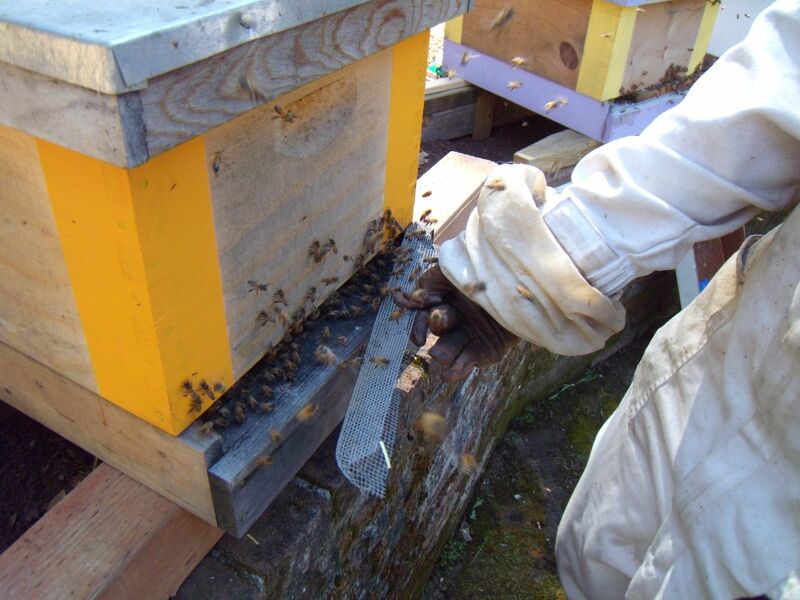 If the queen is healthy and just struggling with a low population, we’ve found this approach to be helpful in jumpstarting hives with low populations. Maybe worth a try. Our drought is an enormous problem on so many levels. We are trying to be very mindful about leaving plenty of honey in case the nectar dries up early–which I imagine it will even in irrigated suburbia. We have fed in the past with sugar syrup in jars, inverted on top of the inner cover (is crown board another name for this I wonder?). 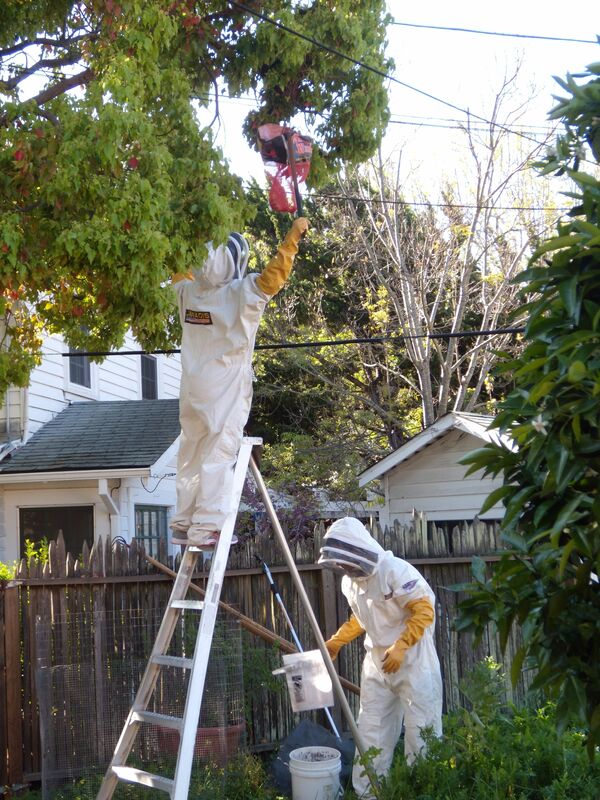 Here’s to inspiring beekeepers to keep at it! I always enjoy my conversations with other beekeepers. We are an interesting bunch :).